First of all, I'd like apologise for the wall of text, and to say thanks to everyone that completed the survey that was previously posted on here, it really was a great help! 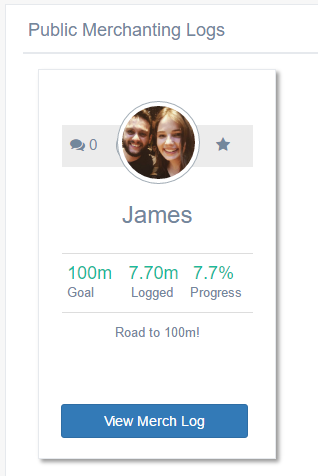 I've spent a while going through the results and finding areas of the site that most need to be focussed on, and trying to schedule my time to them accordingly. 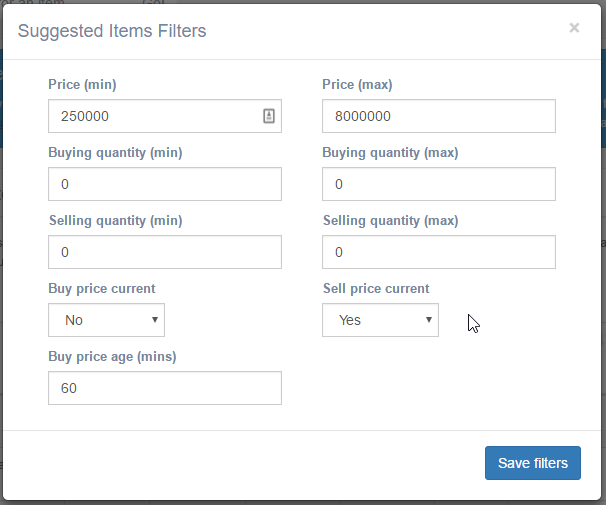 Previously, the only filter available was for Suggested Items and was a basic price filter. This has now been extended to provide an interface with 10 options for filtering your list down, so that the items displayed are more tailored to the items that you like to flip, and will greatly speed up the time you spend searching for an item. See the filters in action! So you've been tracking all of these transactions, but can't show them off? Now you can! You can read a guide about merch logs on reddit. You'll still have access to great content on the site but a lot of the money making features will be restricted.